The Ceramic Garden is back with a new bigger location in Lutz and its popular hands-on Summer Art Camps for children ages 5-14, teens, and adults. Camps include hand-building with clay, pottery on the wheel, drawing/painting, glass, mixed, and textile art and run from June 3 through August 9. Space limited. 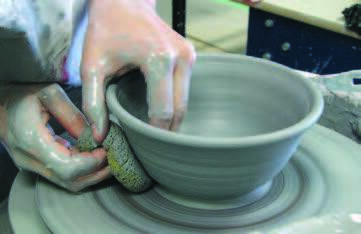 Call 813-263-5948 or view details and register at www.theceramicgarden.com/art-camps. Grab $10 off per child when you sign up by April 30. Our new studio has separate rooms for pottery on the wheel, birthday and other parties, glass art and a coffee/tea, healthy smoothies bar.